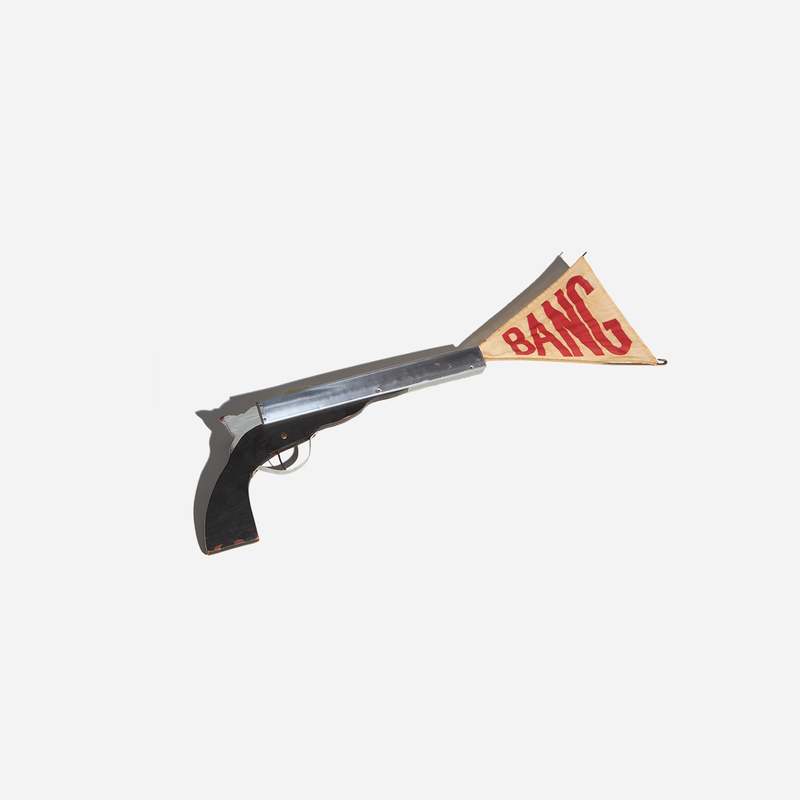 A vintage novelty gun from the Sterling Magic Company, Detroit, circa 1950, the invention of which is attributed to magician Harold Sterling. This is an uncommon item originally offered for sale by Sterling in a catalogue of magic items. We'd guess that very few survived as the marketing was targeted to amateur magicians of tender age. 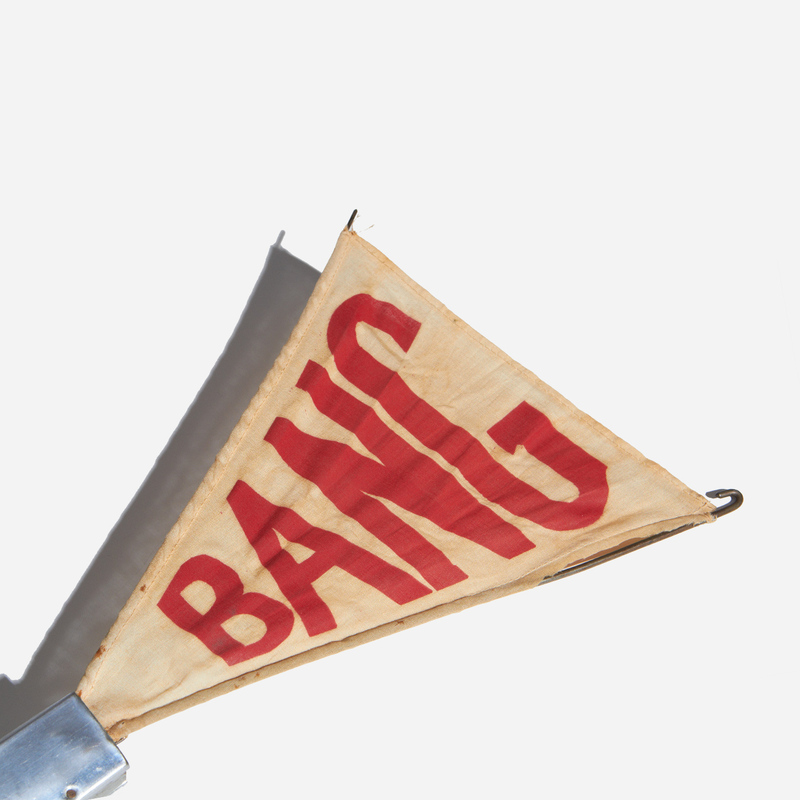 When the trigger is pulled, a triangular shaped flag with the word BANG printed on it springs out of the barrel. This is a handmade object of wood and metal construction. 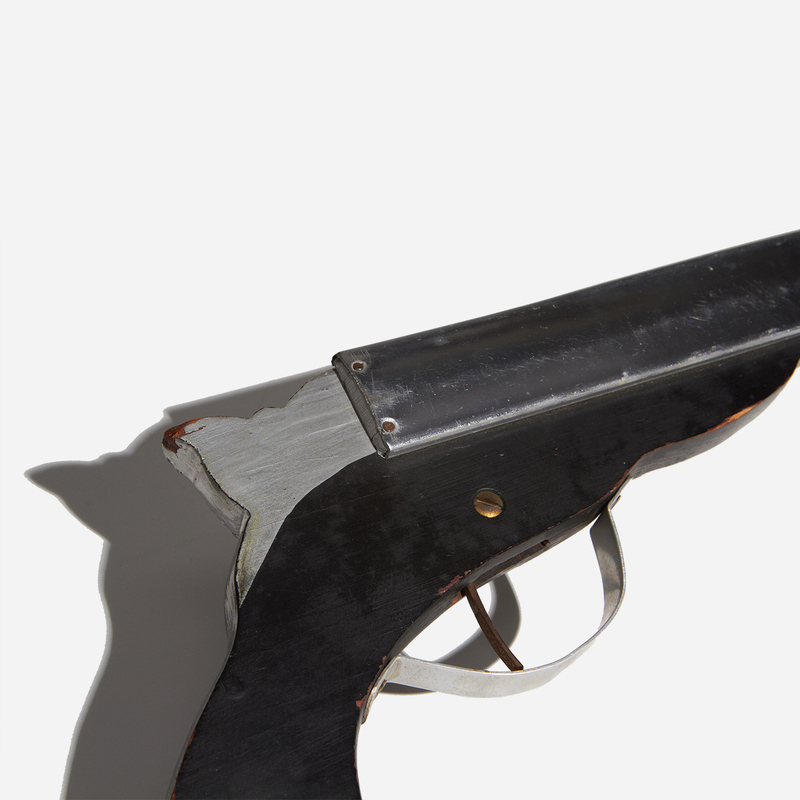 The condition is good but shows evidence of many years of amusement and playful use. Minor scratches and chipping shown in photos. The trigger is operational but sensitive due to its age. 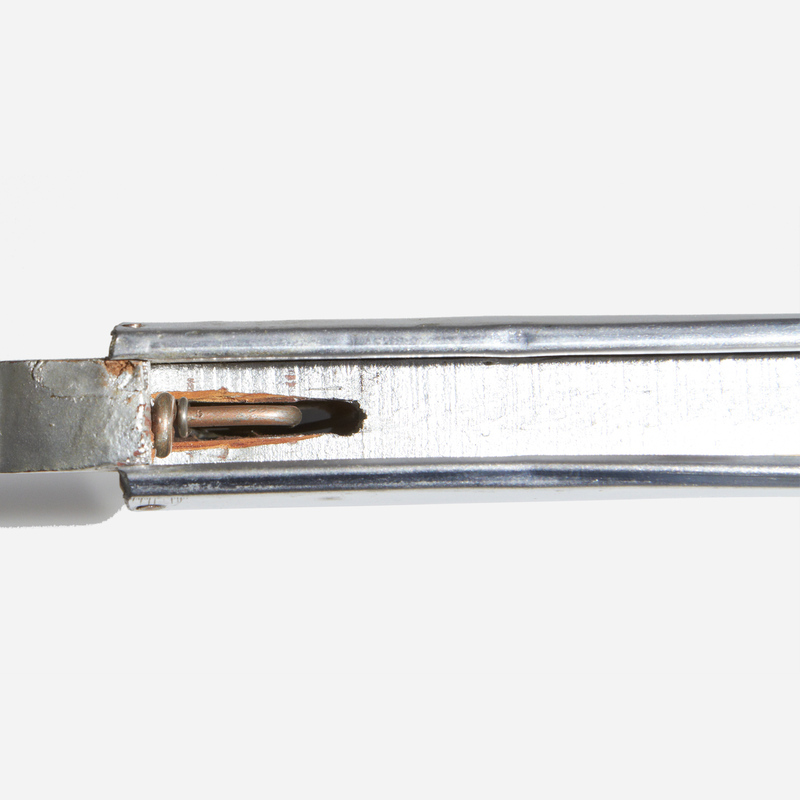 size: The length is 13 inches.